The Carson City Corps advisory board consists of a wide spectrum of hard-working men and women who share in the vision to transform and restore lives in the city of Carson City. "I'm involved with the Salvation Army because they provide not just a hand out, but a HAND UP so that those who are struggling can become independent." 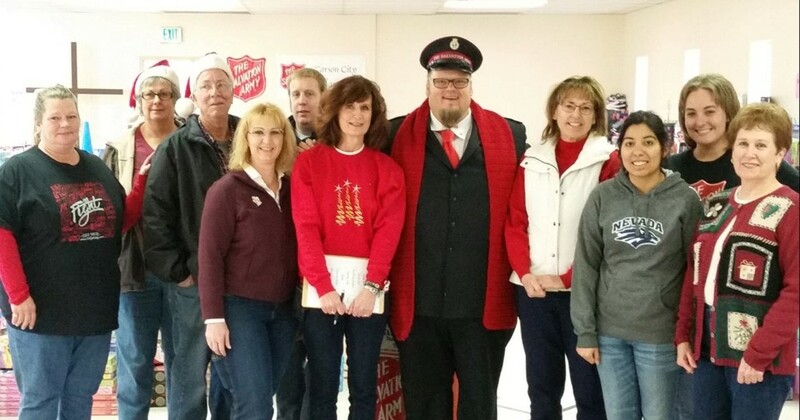 "With Captains Mark and Leslie Cyr's leadership and vision, the footprint of the Salvation Army has grown significantly in Northern Nevada..."
"I love helping others achieve positive change. Nothing is more rewarding than seeing others grow, and thrive." "Giving hope to the Hopeless. To many people, children, teens, adults have little or no hope. At The Salvation Army we speak hope." I'm involved with the Salvation Army because they provide not just a hand out, but a HAND UP so that those who are struggling can become independent.